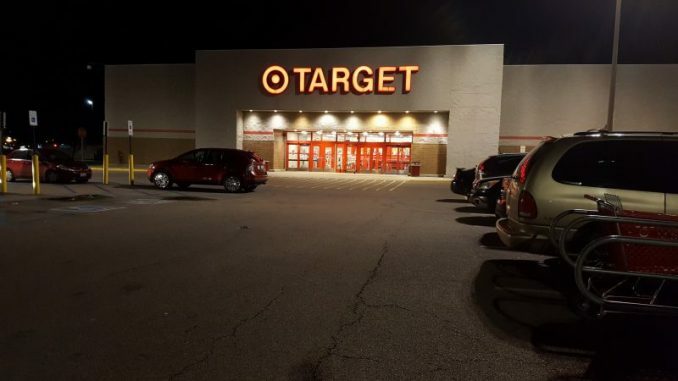 After a Michigan father noticed something concerning at his local Target store, he whipped out his camera, hoping to warn others. 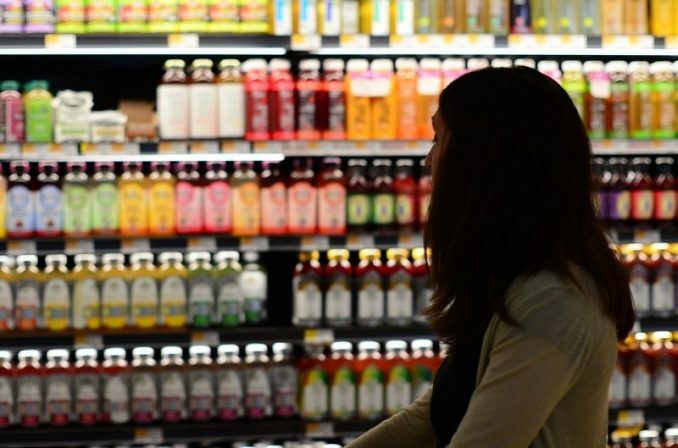 The distraught dad issued an alert about what’s coming to stores across America, and it’s something everyone needs to hear. One Michigan man was made undeniably aware that human trafficking rings are becoming an alarming issue in his state. Women and children are suddenly disappearing at a disturbing rate with dozens of human trafficking cases reported in Michigan alone each year, according to WLNS 6. Unfortunately, the problem isn’t unique to Michigan. 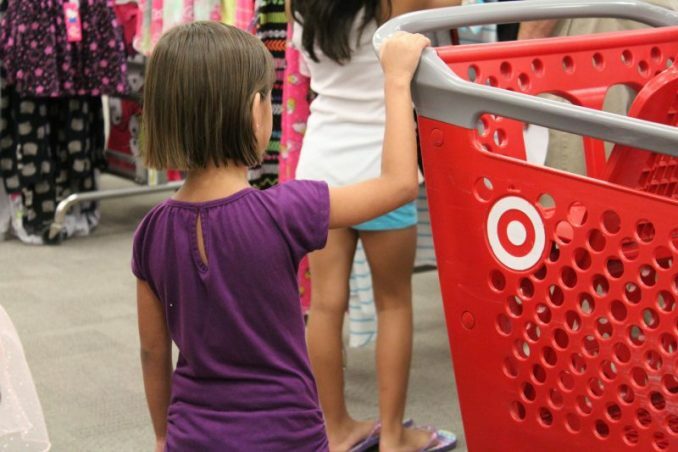 In a video posted to Facebook by Nahar Ali, a man, who Ali says is not himself, explains that his family was shopping at Target when his wife and daughter almost became a statistic in the human trafficking rings that plague his state. Sitting anxiously in his car in the Target parking lot late at night, the man recorded his alert, letting others know what had happened to his wife and youngest daughter as he discussed the distressing reality that’s being ignored. Hoping that putting his warning on social media would help save someone else from being taken, he explains that he is sitting at the Target, looking for a group of men who almost abducted his family. 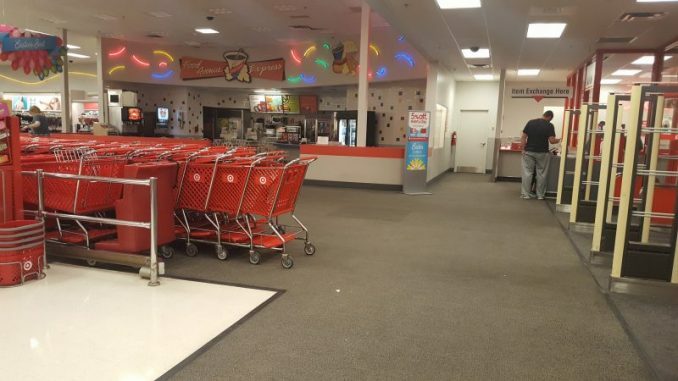 In an effort to raise awareness, he describes the traumatic experience his wife and youngest daughter went through when they were suddenly surrounded by three vehicles in the Target parking lot after the two had gone shopping together. “This human trafficking thing has become very common for women and children shopping at grocery stores, department stores, anything of that matter,” the concerned family man declares, explaining that he returns to the parking lot every few nights to watch for the group of cars that surrounded his wife, believing these people are actively scouting the area for new victims. According to the man in the clip, seeing suspicious vehicles parked in the rear of store parking lots is very common as these criminals look for their next victim to grab. 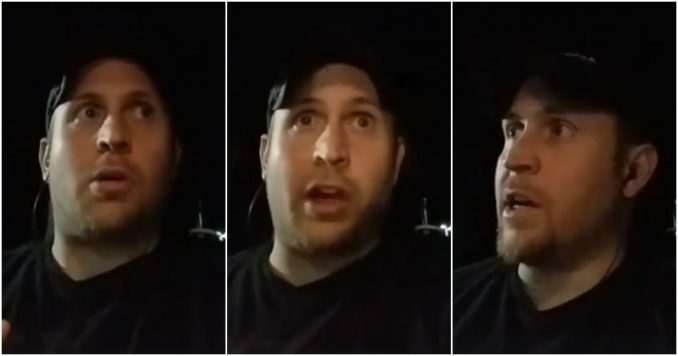 “It’s weird, it’s gut-wrenching,” he adds, speaking of the people who are suspiciously waiting in the back of parking lots late at night for a great length of time. “Who are you looking for, sitting out there in the dark?” he asks rhetorically. “I could’ve lost my wife and my child to this situation,” he continues, relaying that he’s thankful two women came out of Target that night with an awareness that made them realize something wasn’t right, causing them to sit and watch after getting into a car near his wife. He tells his male viewers to also keep a watchful eye for women who may be shopping with their young children and heading out to the parking lot. “Keep your eyes peeled when you’re leaving because you never know if that person could use an extra set of eyes in their situation,” he says. Since the night she was nearly abducted, his wife “can hardly sleep, thinking about this situation.” He says, “She feels that we need to look out for other people, so that’s what we’re doing.” They are making it their mission to catch the men who were prowling Target that night while also warning and, hopefully, saving others from meeting the fate his wife and daughter narrowly escaped. Michigan residents be careful!! Must watch n plz share!! Concluding his emotional plea, he says people need to pay attention because it can happen to anyone, any time, any place. “They are taking people and they are willing to risk anything to do it. They’re fearless. I wish they would have the live security video of what happened to my wife, and you could see how fearless these three cars were that surrounded her and how serious this situation is,” he warns. This guy is right. 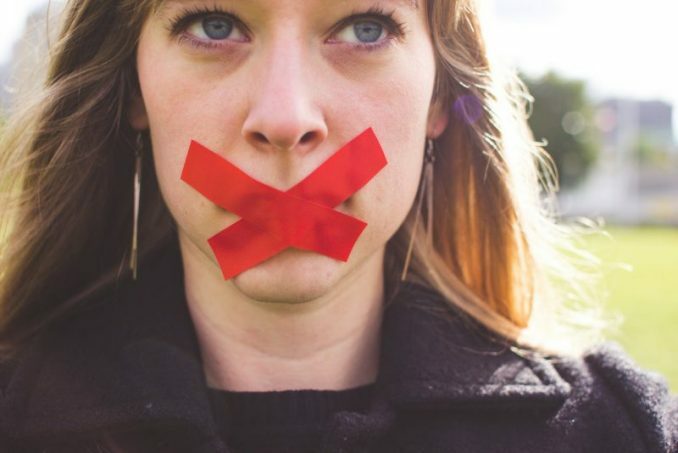 According to experts, human trafficking is “the fastest growing crime, not only in the world but also here in America.” So, it’s time to start the conversation, and sharing his warning is a good place to begin. Don’t wait to raise awareness until you find you or someone you love on the receiving end of this problem — by then, it could be too late.